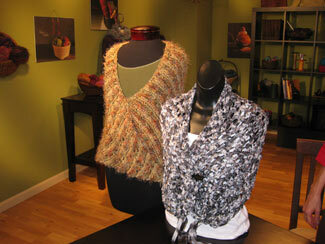 Wraps and scarves are open canvases for showcasing different stitch techniques and silhouettes, and provide an easy-fit for all body types. 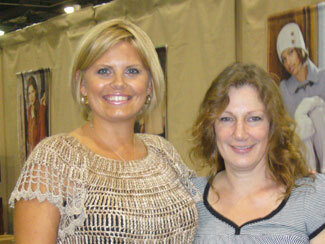 Purchase this episode on DVD! 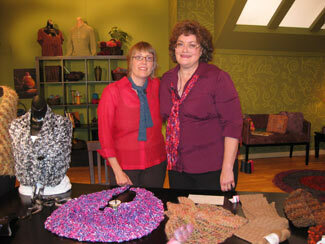 Getting Started: Jan Gratz of YarnMarket.com and Liz present ideas for converting your favorite scarf pattern into a shawl or wrap. 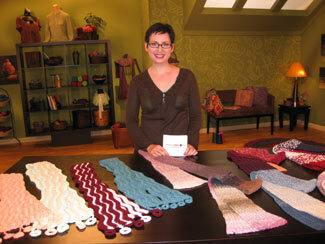 Designer Spotlight: Shay is on location with Kristin Omdahl demonstrating her Stella Wrap, crocheted lace wrap made in-the-round, from the book Wrapped in Crochet. 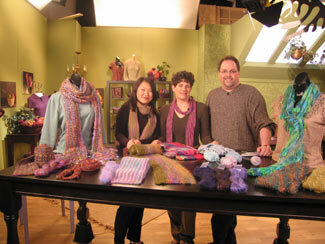 How-To: Barry Klein and Laura Bryant are with Eunny to present patterns for scarves with reversible fabric and non-curling edges. 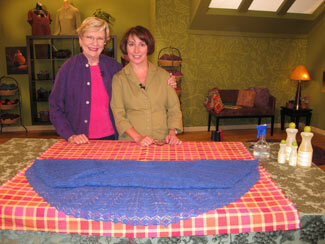 You Asked It: Kathy Elkins answers a viewer’s question on how to block large projects, such as a heirloom lace shawl. Sponsored by WEBS, America’s Yarn Store. 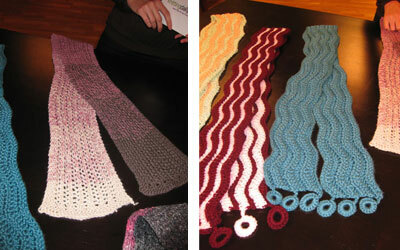 You Made It: Kim shows off various renditions of her crocheted Float Away scarf and modifications of Eunny’s knitted Spectrum Scarf.